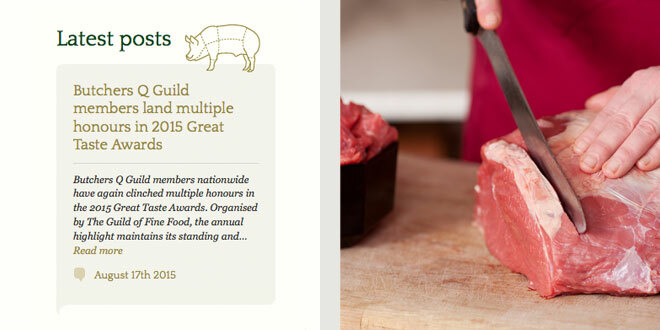 The Q Guild of Butchers represents the highest quality of independent meat retailers in the UK. 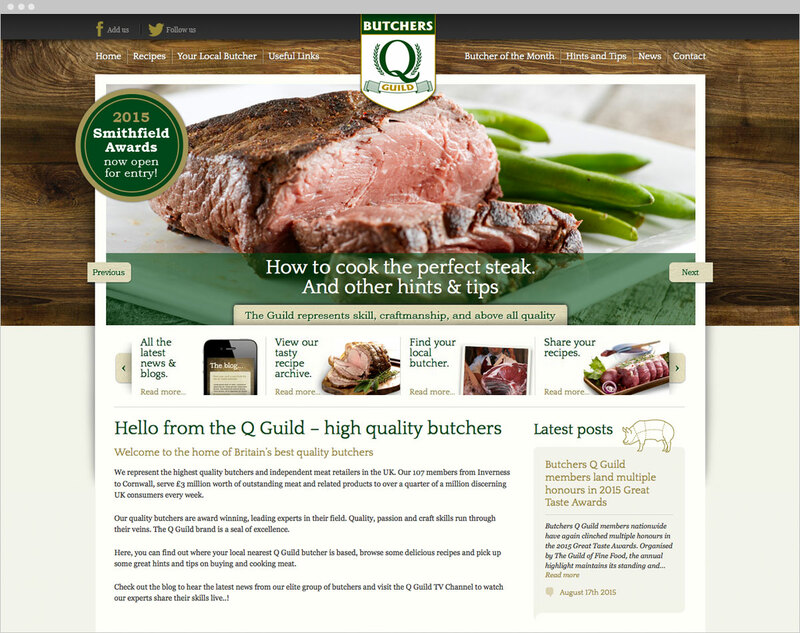 Our brief was to create a website that reflected the high level of skill, craftsmanship and quality that is associated with the Q Guild. The website needed to be editable by not only the Q Guild, but also by each independant Q Guild member. 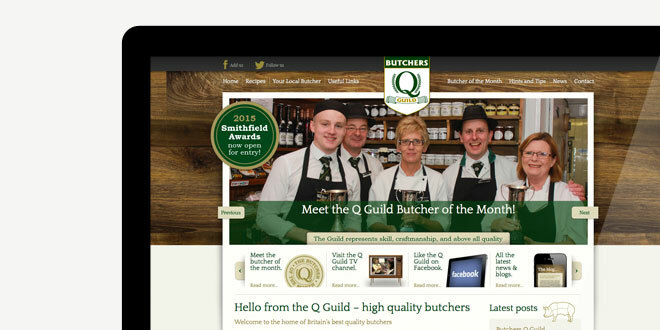 The Q Guild’s current logo had to be used, so our main aim was to develop the brand through the website. We used the gold and green colour palette to portray quality, but also introduced warm stone and black to accent the design. 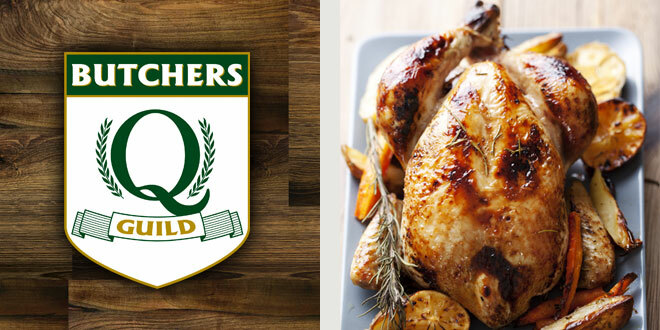 We used a layered design that sits on a background of the butcher’s block – a visual representation of the heritage and quality of the Q Guild. 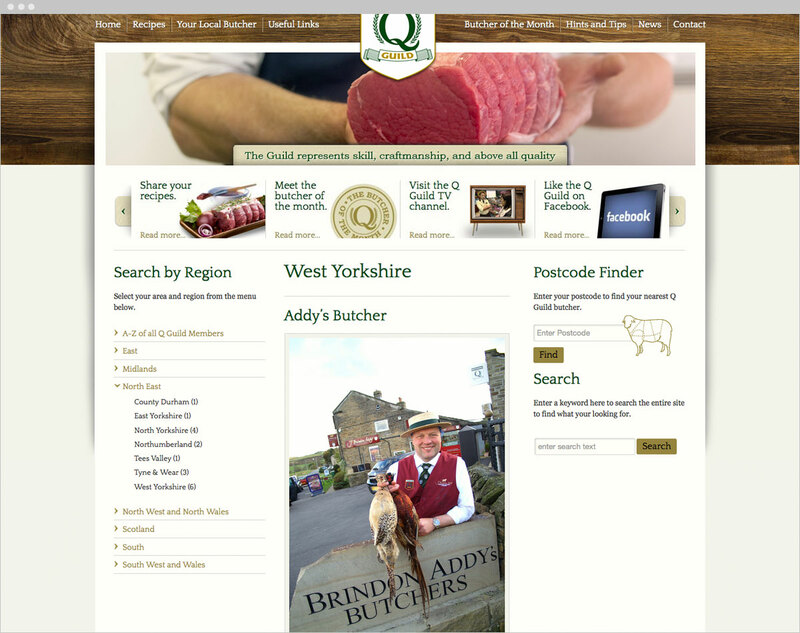 By using large images of the individual Q Guild members, we could portray how local butchers are real personalities and how they provide friendly, personal service in their local communities. We included some interesting visual prompts to help the user navigate through to the various sections of the site. 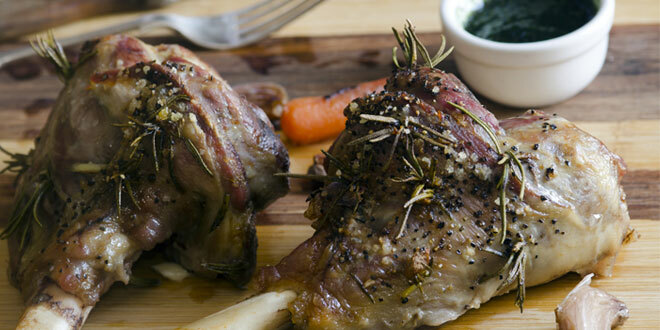 Using WordPress to build the website provides the flexibility for the Q Guild to then add, edit or delete any content, something which was important on this project to help keep the website looking modern and up to date. 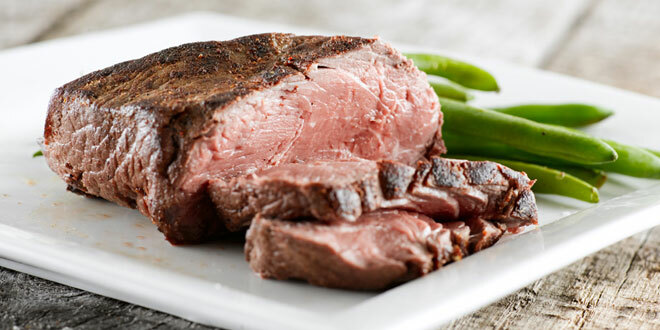 We also helped create a charity campaign that rolled out to all the Q Guild members. The launch of the ‘Bucks Fizz Charity Sausage’ was a success, where a portion of sausage sales went to the NSPCC. Each member recieved posters, bunting and stickers to promote the campaign.